Keyence is a global name in factory automation, providing advanced sensing & measuring solutions. Including sensors, machine vision systems, bar code readers, measuring instruments & PLCs. It's a Japan based company having global reach. Keyence provide good range of automation controllers, which can be easily programmed using their PLC software called KV Studio. Subscribe to Automation-Talk by Email. 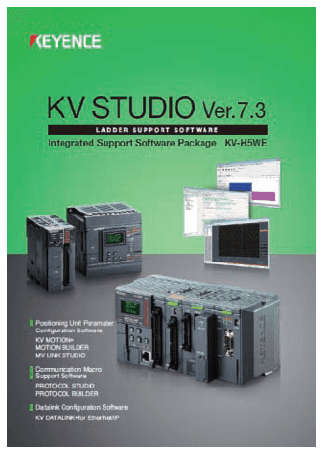 KV Studio is a PLC software which can be easily programmed and you can download its DEMO version if you want to try it. The latest version of this software is 7. "KV STUDIO" is software for creating ladder programs that combines ease of use and powerful programming processing capabilities. Series and KV Nano Series. You can print unit structure diagrams and lists of settings. 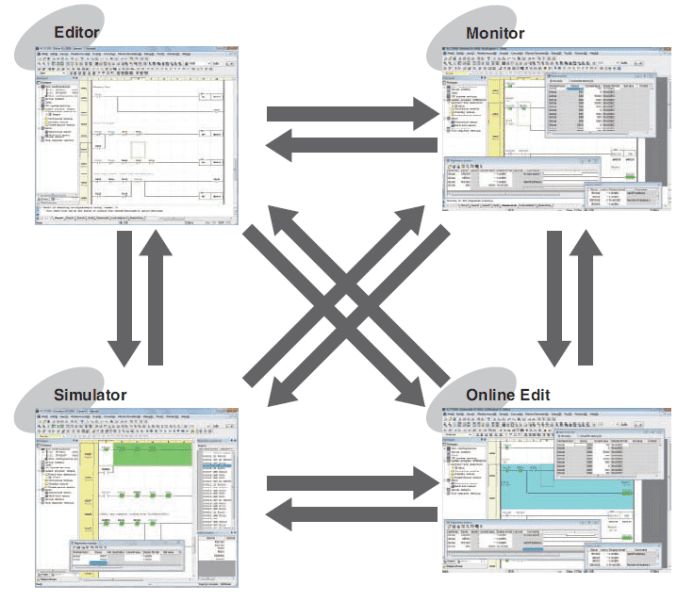 Simulation function is very important for offline testing of PLC program and KV Studio PLC Software also supports it. You can simulate the operation of the ladder program you have created without connecting any KV Series units. This enables you to debug the program you have created and you can also easily perform troubleshooting by conducting continuous scan execution, single scan execution, and single step execution. Reversed step execution is also possible. You can use the ladder program that you have created to perform online monitoring of the ON/OFF status of contacts in real time. You can display time charts. You can perform online editing. Programming time is significantly reduced by the direct programming algorithm. KV STUDIO Ver. 7 supports the KV series CPU units. Because KV STUDIO Ver. 7 has a function that automatically converts previously created ladder programs when they are read, you can smoothly migrate to the new programming environment. This software supports PLC's like KV-5500, KV-5000, KV-3000, KV-1000, KV-700/700+M, KV Nano Series*, KV-P16, KV-10/16/24/40. You can install this software on Windows XP, Windows 2000, Windows Vista, or Windows 7 and equipped with an RS-232C or USB interface. KV STUDIO Ver. 7 can read the ladder programs for the KZ-300/350 and KZ-A500. When KV STUDIO Ver. 7 reads a ladder program file for the KZ-300/350 (*.ldc) or KZ-A500 (*.ldx), the file is converted into the KV STUDIO file format (*.kpr). You can easily download trial version of this software from their official website. You will just have to sign-up and then you can download this software. Note: Do download its user manual before using this software and you can easily learn how to use this software. do you know how to convert KV Ladder Builder to new KV Studio? with out having to punch in all the code again?